Depending on the terms that the government negotiate under Brexit, it is possible that UK citizens may lose the right to work or live in the EU without obtaining a visa. Currently, UK citizens can retire to places such as Spain, Italy and France. The free movement of people will be a key negotiating point in any deal agreed with Brussels. Pensioners represent the largest group of British expats living in the EU. It is unfortunately inevitable that their state pension income will have been affected by the sharp fall in the value of sterling that occurred shortly after the vote and subsequently. 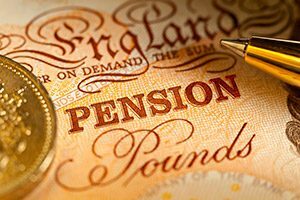 At present, anyone who retires within the European Economic Area – including members of the EU plus Norway, Iceland, Liechtenstein and Switzerland, has their UK state pension protected by ‘reciprocal arrangements’ which means they receive increases in line with retirees living in the UK. The ‘triple-lock’ system ensures that state pensions rise by the higher of inflation, earnings or 2.5%. There is speculation that this system could be changed, but many people feel that the government will honour its pledge to pensioners to keep this in place for the time being. If annual state pension increases were to remain for UK nationals in the EU, the government may have to negotiate reciprocal agreements with individual member states. The concern for expat retirees is that they could see the amount of state pension they receive frozen as is the case for those currently retiring to Japan, Canada, Australia or New Zealand, and other Commonwealth countries. Over half of the one million pensioners residing overseas don’t receive annual increases in their state pension so, for example, an expat who retired in 2000 would still be receiving the weekly rate paid at the time – £67.50. Some countries have now made having private medical insurance coverage compulsory for all expats. In other countries, expats are not eligible for local healthcare services at all; if this is the case, you will need to arrange some form of cover. Having individual bank accounts in addition to a joint account may be advisable because in many jurisdictions, upon the death of a spouse, bank accounts may be frozen. What is clear is that it pays to do your research before deciding on your dream retirement location.